I admit it. I have a split personality! While I’m mostly known for my landscape photography, my true love is really wildlife photography. The problem is, there is not always wildlife around. I’ll take it when I can get it, and if not I do landscapes. During the summer months when I am in British Columbia, not a day goes by when then are not wildlife opportunities. 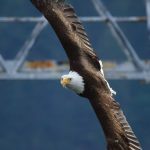 Eagles, herons and all sorts of other birds in the estuary behind our campsite, dolphins, orcas and humpback whales when I’m out on the boat, and bears in the rivers. 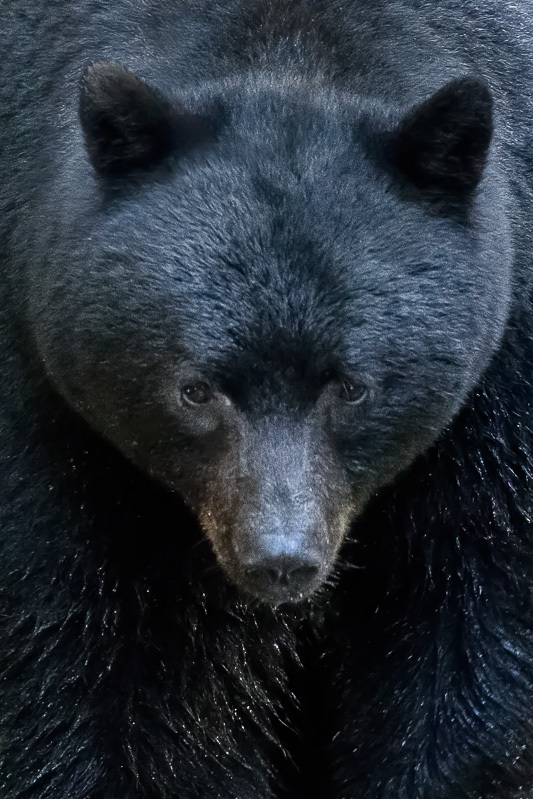 This year 8 of my 10 favourite wildlife photos were made in British Columbia. Of course, I have some special spots down south too. But I am looking for recommendations in Arizona, Nevada and New Mexico. If you know of any great wildlife locations in those areas, I’d love to hear about it. 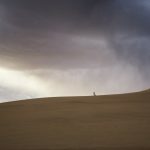 I hope you enjoy these images, and if you have a list of your own, please share it in the comments. 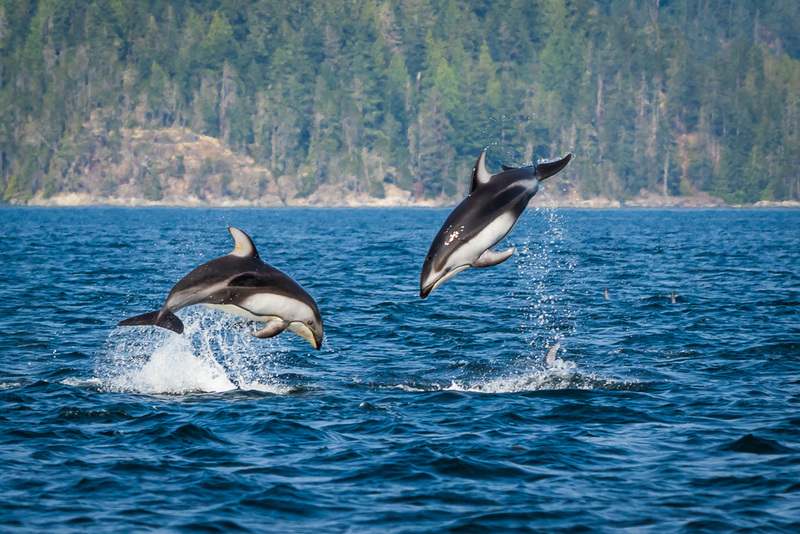 Even though I see dolphins fairly regularly on my boat when I’m set up on Vancouver Island, I was pretty excited to see them when I was up in northern BC because the Khutzeymateen Inlet has such clear and calm water. On this day it was quite dark, creating a dramatic backdrop. 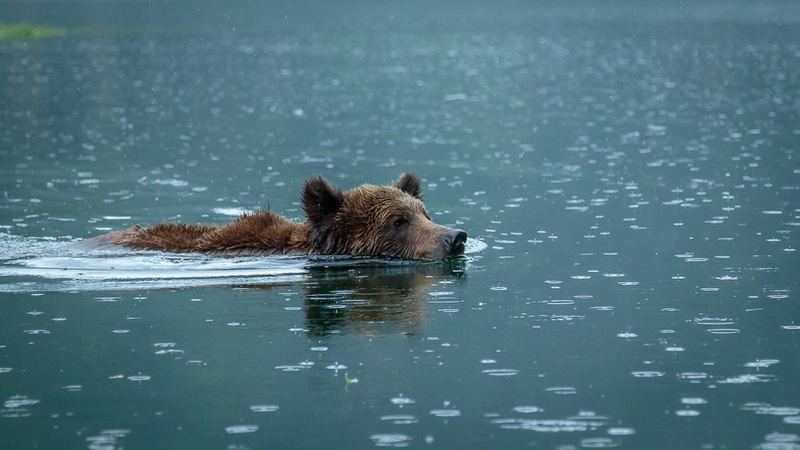 I captured a number of photos of grizzly bears swimming, but I especially love this one with the raindrops because it adds a sense of place to the image. When you’re just a little bear, a giant eagle is something to keep your eye on! 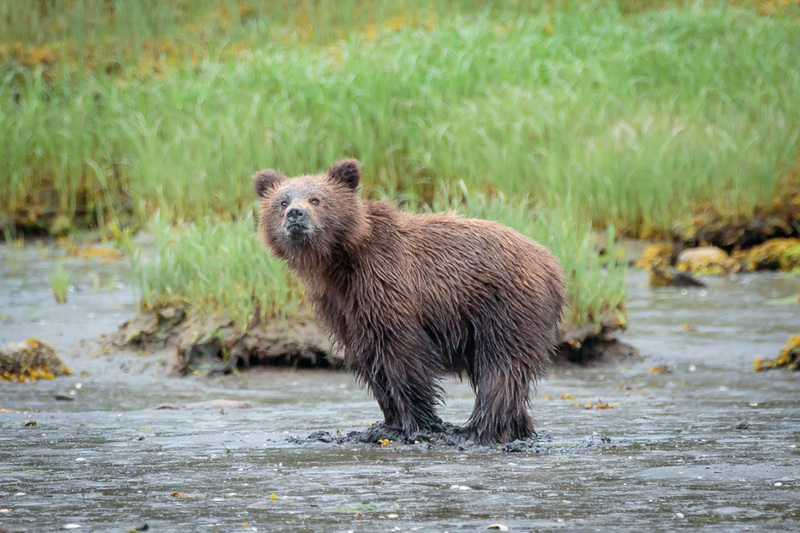 See more Grizzly Bear photos. 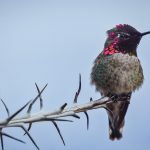 Last year we made our second visit to this fantastic birding destination in Arizona. 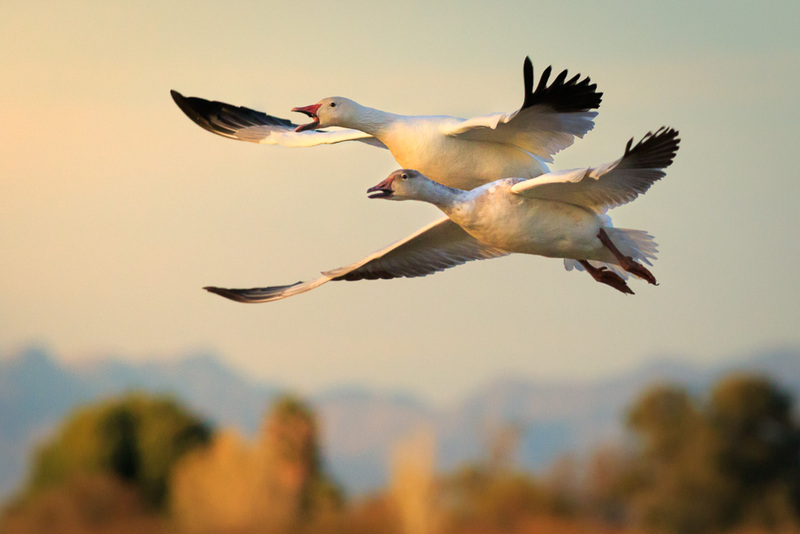 I know everyone talks about Bosque del Apache, which I still haven’t been to, but the crowds of photographers there have kept me away. I’m going to try to make it over there this year to see it first hand though. Yes, this really did happen! I haven’t published the story on my blog yet, but I have a whole series of images leading up to this incredible moment. One I didn’t even know I had until I looked at the images later and couldn’t believe my eyes when I saw the heart. 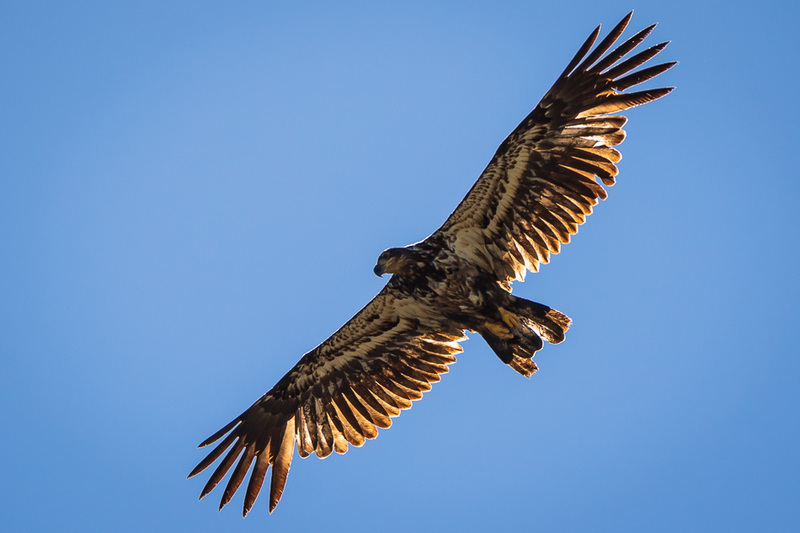 While this is a pretty regular eagle shot, it is the light that makes this one a favourite. I love the rim light along the top of the wings and the golden backlight through the feathers. The juvenile bald eagles are so pretty! This was one of the most incredible days of my life. Another one I haven’t written about on the blog yet, a huge pod of dolphins seemed to think my boat was their play toy. It was truly awe inspiring and there was no one there but me. And this isn’t the best photo of the group, it’s just the only I’ve processed so far. I don’t know why, when I have a really good set of images, I always sit on them and let them simmer before I process them. Last year I made a trip to the Great Bear Rainforest in the hopes of seeing and photographing the elusive Kermode or Spirit Bear. Well, I didn’t see any Spirit Bears, but I did get some nice Black Bear photos. 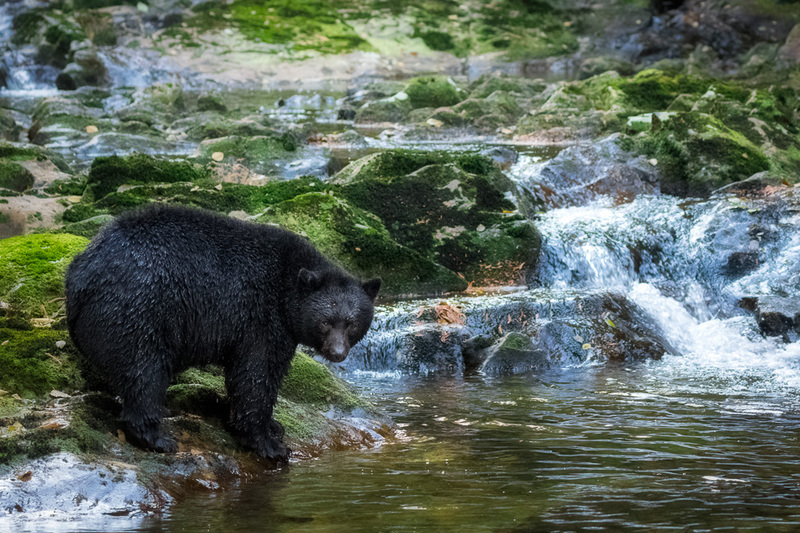 See more photos from the Great Bear Rainforest. Elk Country is one of my favourite camping spots ever. 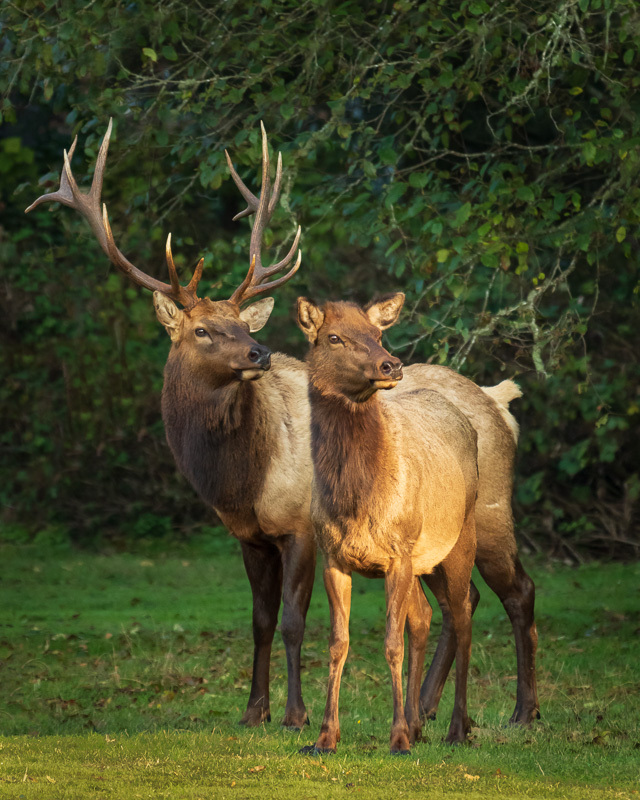 If the herd of elk come by, the photo opportunities are second to none! See more photos from Elk Country. 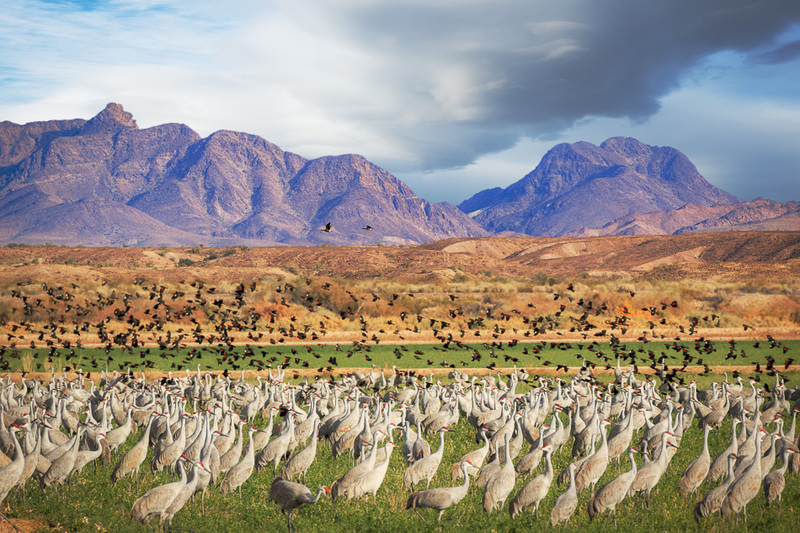 I just couldn’t decide if this was a landscape image or a wildlife image! Maybe it has a split personality like me. Either way, it’s definitely a favourite. Thanks for taking the time to look at my favourite wildlife photos from last year. 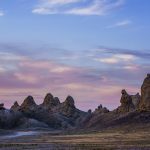 In case you missed it, I also have a list of Top 10 Landscape Photos from 2018. If you have compiled a collection of your own favourites from last year, feel free to leave a link to your post in the comments. I’d love to see them. Thank you very much Johann. My long lens is a 400mm f/5.6L. On the bears trips I rented a 100-400 f/4.-5.6L, which is convenient when I am on a trip and only want to carry two lenses. I’ll take the 24-105 and the 100-400. Thank you for the great photos you have shared. 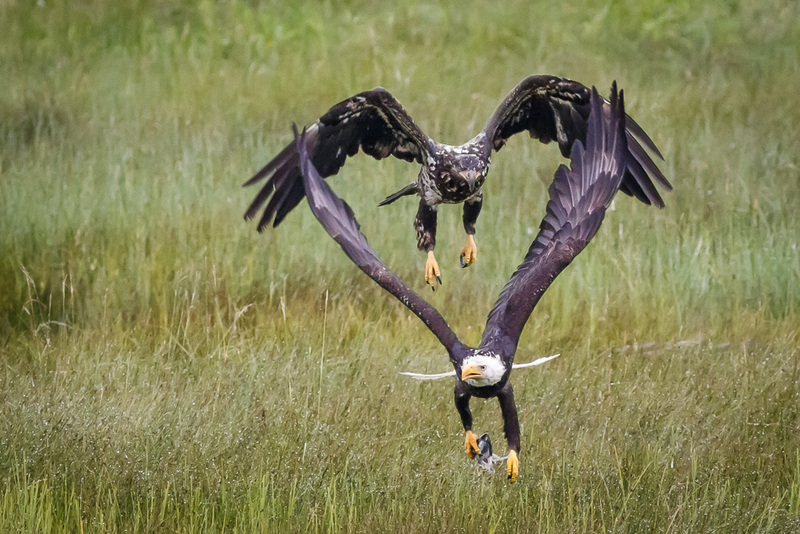 Two Bald Eagles With Heart is one of those perfect moments that so rarely comes along. Thanks for sharing this wonderful collection. Rare indeed! Many thanks for your visit and comments Todd. Awesome shots Anne! Especially love Baby Bear and the Heart! So sorry to hear about your health issues. 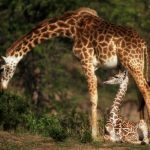 I can certainly sympathize as I’m an avid hiker and photographer as well, and it is so hard when I’m injured and can’t get out there. Best wishes in your journey back to full health! Hi Alisa, Thank you so much! I’m glad you enjoyed the wildlife photos. Yes it sure can be frustrating when my body wont cooperate with the things I want to do! Hopefully once it is all figured out there will be a solution. I appreciate your concern. Greetings from the UK – I enjoy reading your newsletters – Thanks. I’m interested that you’re using Topaz plugins. 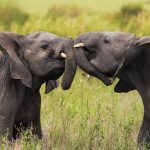 The elephant and cub pic is really tasteful and I enjoy using Topaz on my nature photos too. Could you tell me what necessary computer equipment you use/need to create what you want from your photos when you’re on the road please? Hi Steve, when I travel in the RV I have a 21 inch iMac. I really like the big display to process my photos. It doesn’t actually take up that much room, I just store it face down in some foam when we drive. When I travel internationally, I use an 11 inch iMac Air. It is about the same size as an iPad but it has a hard drive and a keyboard. I can process photos on it if I want to just share something on the internet. I mostly use it to download and backup photos and also to use the internet and do some writing when I’m travelling. It’s nice and light! Hope that helps. Thanks for your comments. They are truly spectacular shots! Thank you for sharing them. I love, love, love these photos! Very inspirational. 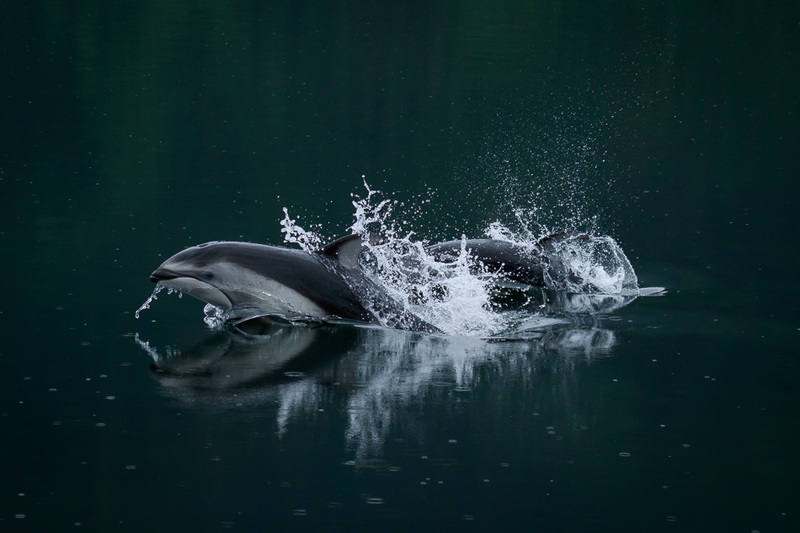 The dolphins with the dark background is phenomenal! Thank you so much Amber! It means a lot to me that you find the photos inspirational, I really appreciate that.